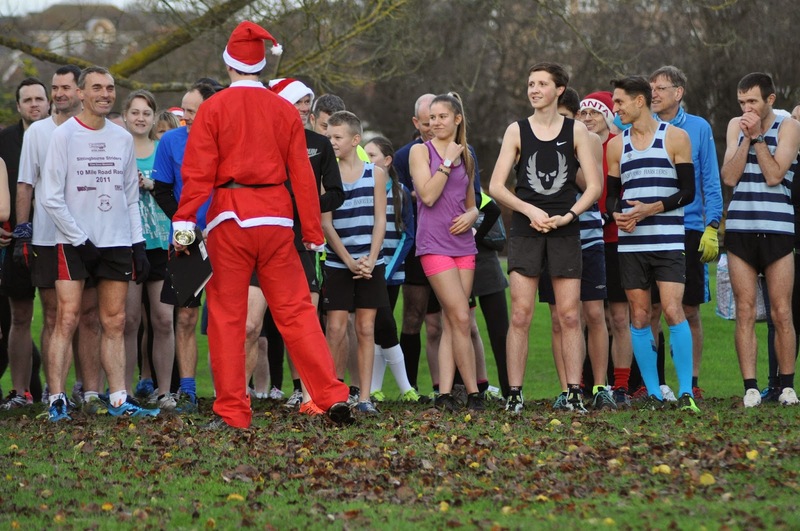 I ended up running a little late for our Christmas run (event 21) and by the time I turned up at the Dartford Harriers clubhouse at 7.40am, Richey had already cracked open the storage container and had the signage out and ready to go. Richey headed off to the grass and trail section of the course to check the conditions while I popped over to set up the signage at Jagger's Leg. 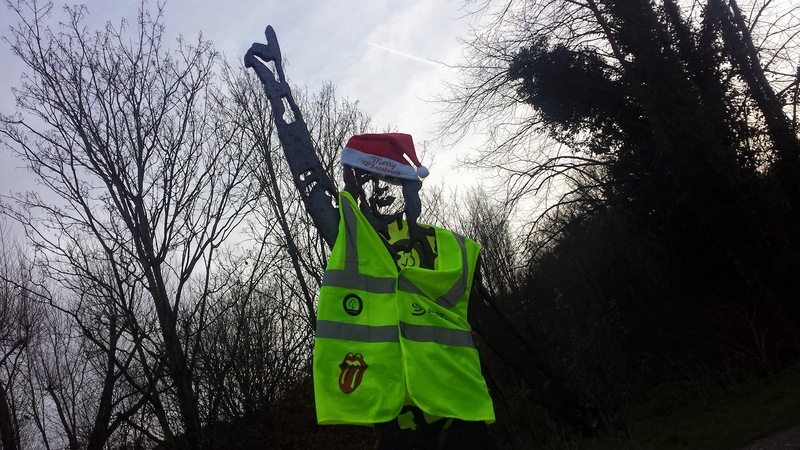 While over there, I had an idea to give Sir Mick a Christmas makeover, so when I got back to DpHQ and met Richey (and Adam who had just joined us) I aired the thought that really we should have probably made a little bit of an effort with making the course look Christmassy. In that instant Richey sprung into action and flew over to Dartford High Street where he managed to pick up some tinsel for the finish funnel and a Christmas hat for Sir Mick! With all that done I headed into the Dartford Harriers clubhouse, by now wearing my Christmas hat, to attempt to warm up my freezing fingers. At the very last minute, Richey had been stripped of his role as run director and a white-bearded, red-suited chap had taken his place! He gave us a briefing and the order that everyone MUST go to the clubhouse for some mulled cider and baked treats afterwards. The run was started. I ran at roughly the pace I had hoped to - my first, second, third and fifth kilometres were almost identical splits (the fourth kilometre was slower because I eased off the gas going up the incline). 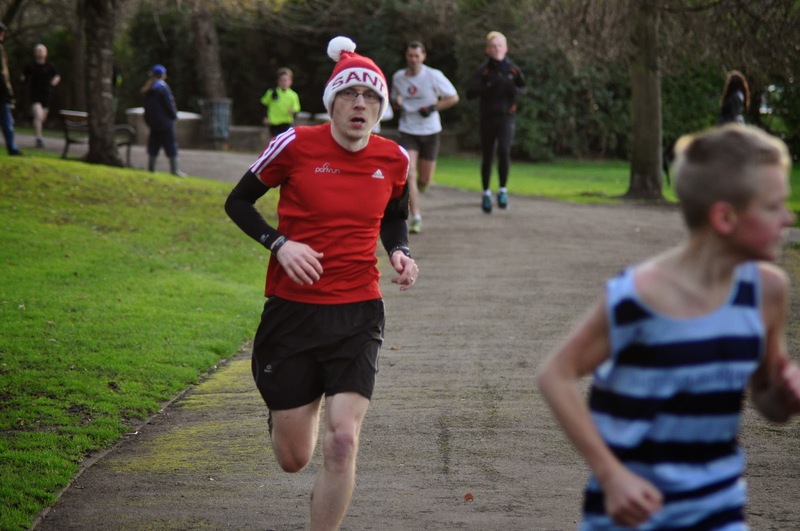 I whipped of my Christmas hat during the second lap to let my head cool down a little, but I stuck it back on in time for the final stretch where judging by my facial expression in the photo that Gary Bignell took, I was actually pushing quite hard. This was followed by a swift change into my volunteering vest and some barcode scanning. 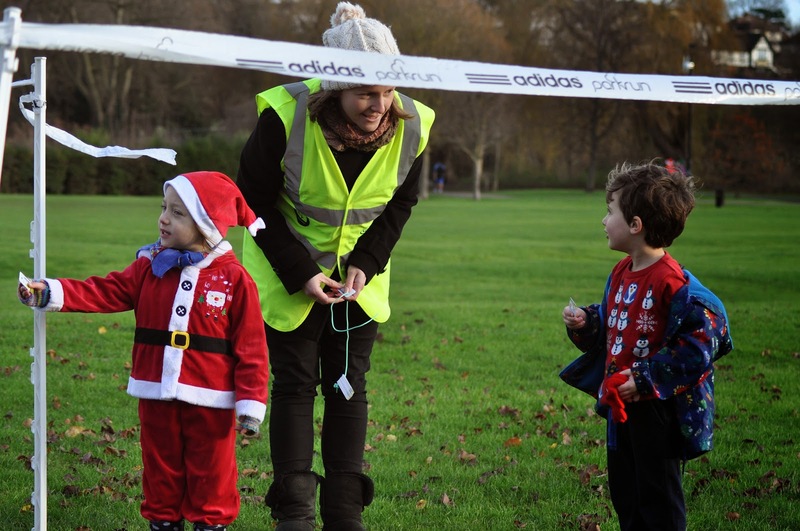 Adam (who has recently become a key member of the volunteer team) headed off to collect the course signage and I began winding up the finish funnel with the help of my two little helpers, Alex and Matilda. When everything was packed away I finally headed into the clubhouse where I was handed a mug full of the mulled cider and helped myself to a Christmas biscuit or three! 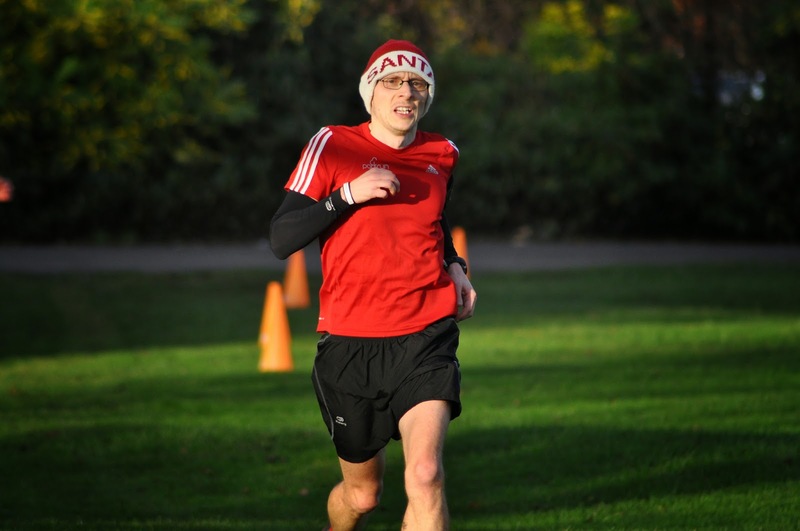 I also bumped into a tourist from Southwark parkrun who was very complimentary about blog7t, which really made my day. Thank you.